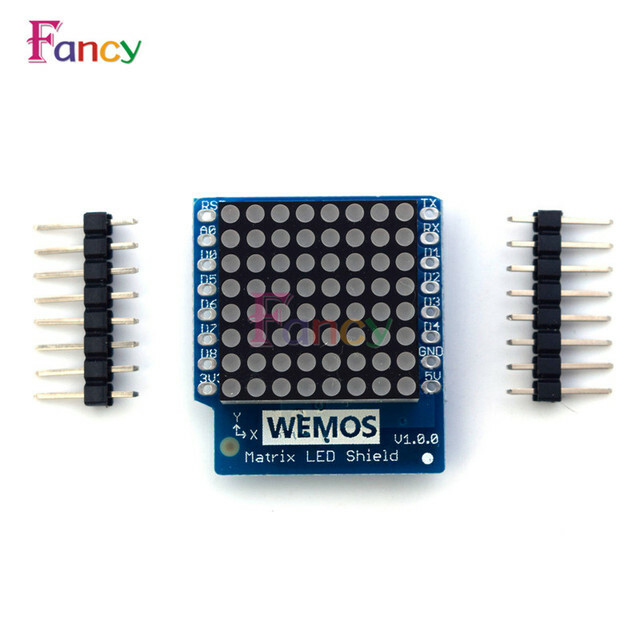 At aliexpress.com you can purchase V1.0 8x8 Matrix LED Shield 8 Step Adjustable Intensity for WEMOS D1 mini for only $1.37, which is 84% less than the cost in Banggood ($8.80). 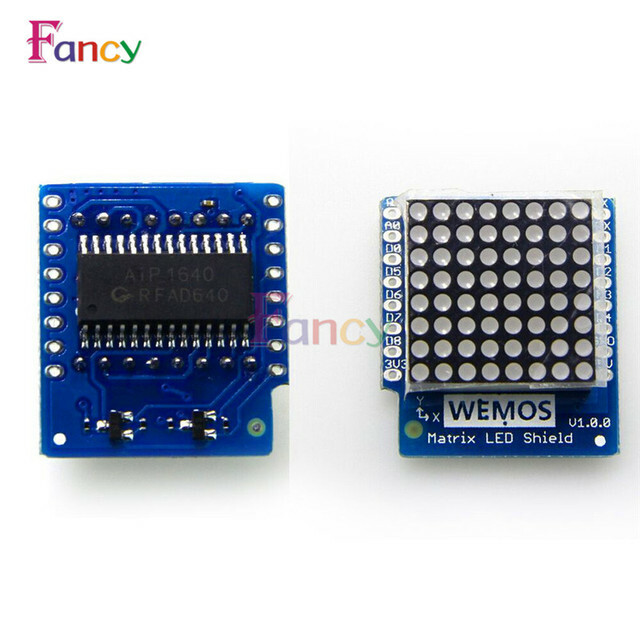 The lowest price of 3Pcs Wemos® Matrix LED Shield V1.0.0 For WEMOS D1 Mini was obtained on 11 April 2019 3 h 03 min. 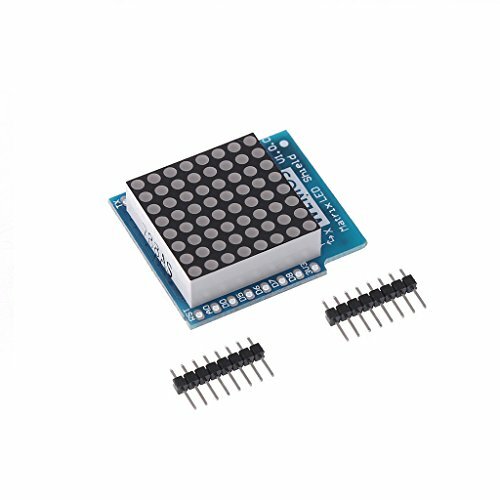 This Shield will add a Led Matrix notification system. The matrix is a square of 64 LEDs (8×8 LEDs). A sample code is available on GitHub here. The bookstore has to integrate to your project is here. 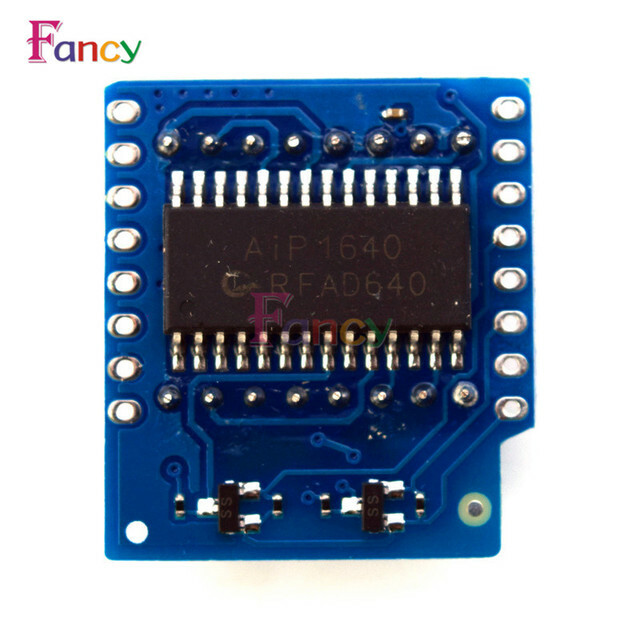 Pins D5 (CLK) and D7 (DIN) are used by the Shield.